My route took me through the plains, teeming with bugs, the heat unable to suppress the constant yet ever-changing buzzing. The sun beat down on the windswept plains, and the stalks of wheat that had bent and been warped with each gust were baked by the late summer heat. 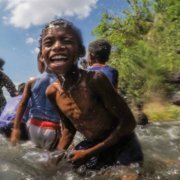 Each time a stranger stopped me along the route, slowing their massive pickup trucks to the shoulder to politely offer support or to ask questions, I was jolted out of my head and back to a world with people, as though a circuit breaker had flipped. Until finally I didn’t want to see anyone. The author, Maggie Seymour, photographed the setting sun over the Henderson’s cattle ranch in Canadian, Texas. 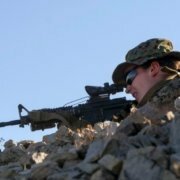 I’d set out across the country in July to find a part of myself and to reconnect with the small-town middle American I had left so many years ago, before college and then the Marine Corps bounced me between coasts and continents. I craved isolation beginning the very day I set out. Staying with strangers required energy I didn’t have left; it meant putting on my Run Free Run face, the outgoing, cheerful Maggie the civilized world and the nonprofit I was running for seemed to demand. It meant smiling as my right foot continued to scream from what I could only imagine to be 100 tiny tears and waxing on about how lucky I was to be able to complete such an adventure. But halfway through my cross-country run—48 days in—I realized I felt more disconnected from myself than I had when I started. Thinking it would be good for me to relax and recover in the company of loving Texans, a mutual friend set me up to spend two days at Terry and Brad Henderson’s ranch in Canadian, Texas. 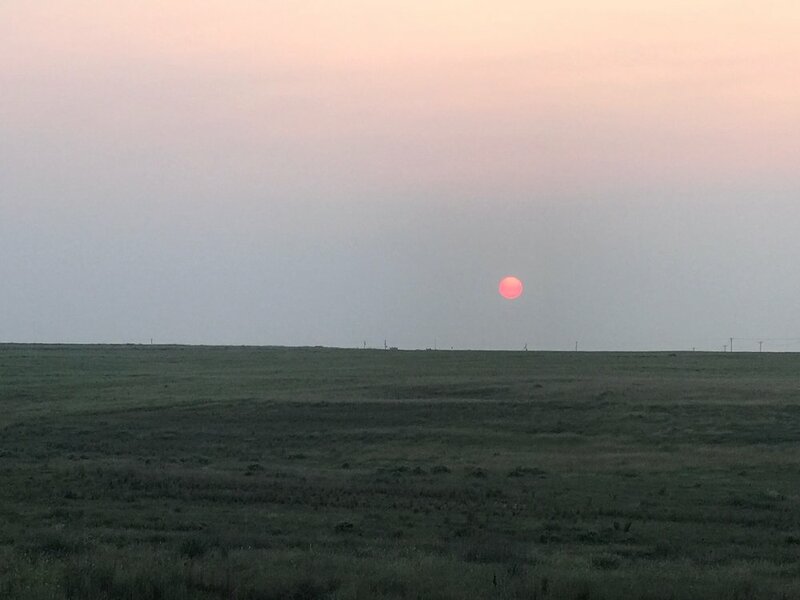 By the time I got to the eastern Texas Panhandle, I wanted to be alone in my feeling of disconnection. But the Hendersons, who became Gold Star parents in 2006, brought me back. Brad and Terry greeted my support drive and me with smiles and hugs, and helped us bring our bags into the house. “Your rooms are upstairs,” they said. I tried not to let my face betray anything less than the gratitude I didn’t fully feel. Climbing even a few stairs felt like running a marathon, the pain in my foot matched by the tightness in my hips and knees. Anything that didn’t get me closer to the Atlantic Ocean had begun to feel like wasted work. They ushered me into their daughter’s room. Brad and Terry assured us they wouldn’t be a bother and that we could spend as much time alone as we wanted. I tried to ignore how thankful I felt, because I was overcome with guilt for wanting to be alone. I showered and tried to wash away the miles, and then reluctantly I headed downstairs. As I waited for dinner, I hobbled around their house, thinking about how different my dream home would be, until I noticed the round pegs that held the support beams together. I quietly snapped a photo to send to my mom. She and my dad had finished their dream house just a few years back, a cabin-styled home in which my father had used pegs to cover nails, a fact he proudly boasts to anyone who visits. Maybe it was that detail or maybe it was the restful quiet I finally felt, but in an instant the family I had just met felt familiar. And for the first time during the run, I felt like I was home. The author, Maggie Seymour, relaxes during her tour of Canadian, Texas. On the first night, over a meal of stir-fry and homemade ice cream, Terry and Brad shared stories of the hours their son had put into training for football and academic teams when he was in high school. He compensated for any lack of natural talent with determination and a down-home Texan work ethic, eventually graduating salutatorian of his high school class. With that same doggedness, they said, he had pursued flight training with the U.S. Army, where he became Chief Warrant Officer 2 Miles P. Henderson and began flying the AH-64 Apache attack helicopter. He died in an aircraft crash in Balad, Iraq, in 2006; the military ruled it the result of bad weather conditions. Their stories of Canadian, a small Texas town, felt familiar too. We stopped by Terry’s mother’s house on the second day to pick up the newspaper, and I smiled, thinking about how my own mother and grandmother had shared a paper before my grandmother passed away. It was a different town with the same stories. Eight years after Miles’ death, the Hendersons began thinking about leaving Canadian. “The town had changed,” Brad told my support driver and me while he showed us around the next day. “We didn’t really tell anyone, but we were looking at property in Montana,” he said. 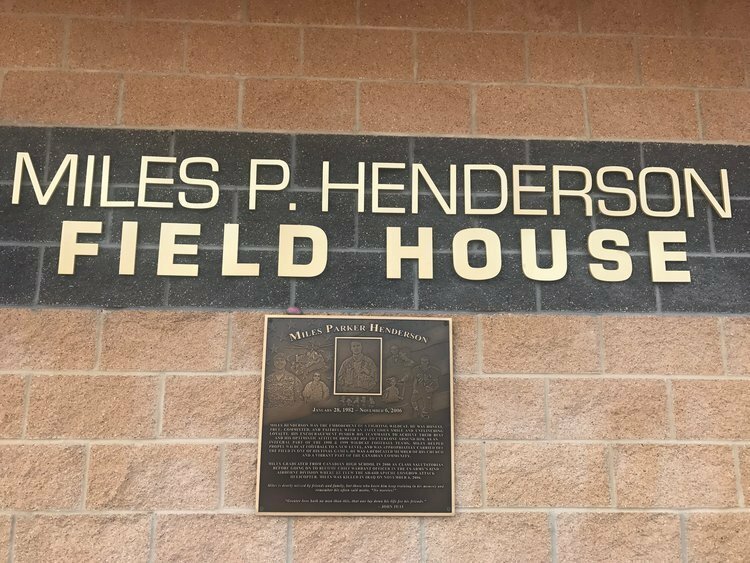 Shortly after they had begun considering the move, the community dedicated the field house next to the high school football field to Miles, a surprise to the Hendersons and a reminder that they weren’t alone in their grief and their love for their son. “I guess we didn’t realize how much Miles meant to this place, and how much this place meant to us,” pointing to the fieldhouse. With that neighborly gesture, Canadian began to feel like a community the Hendersons hadn’t known they had. It was yet another story that reminded me of my own home. Terry joined me for a couple of miles when I started out on the road the following day. She was already dressed for a run by the time I mosied down the stairs in the morning. 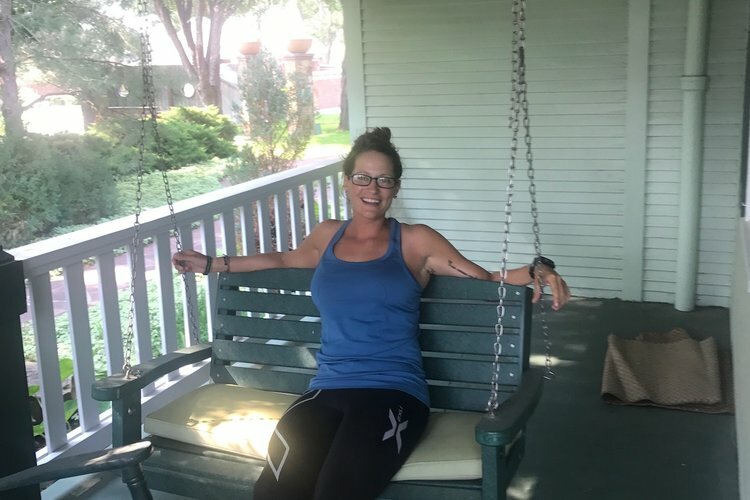 As we begin our quick pre-run routine—couple of sips of water, the beginning of the day photo, undirected stretches—the fear and anger that had coursed through me in the week prior felt like a distant memory. 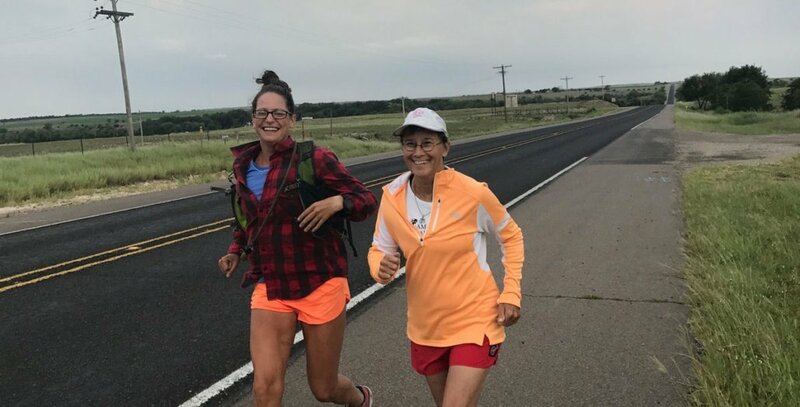 As I took off from that day’s starting line, laughing with Terry about her old bones compared to my beaten joints, I felt only echoes of that pain and isolation. Maggie spent 10 years on active duty as an intelligence officer with the Marine Corps. 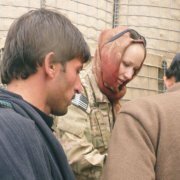 She transitioned to the reserves by running across the country. She holds a PhD in international relations and is currently studying journalism at Mizzou.